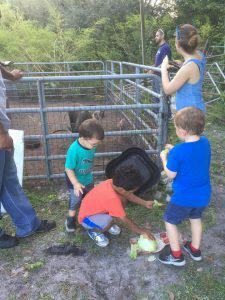 Everything is an adventure at the stables if you are just a little person. 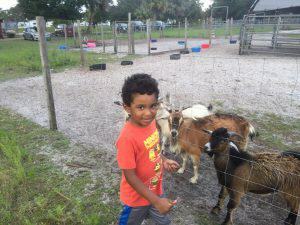 Especially if you have brought table scraps to feed the goats, and the pigs. Running around burning off all that excess energy is wonderful. I know some kids that will sleep well tonight! 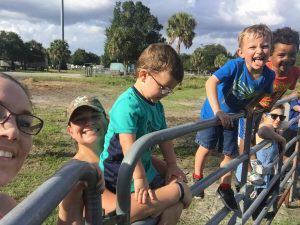 This entry was posted in Uncategorized and tagged Bradenton Horseback Riding, child safe, Hillsborough County Trail Riding, pet pig, Petting Zoo, pot belly pig, Unguided trail rides.